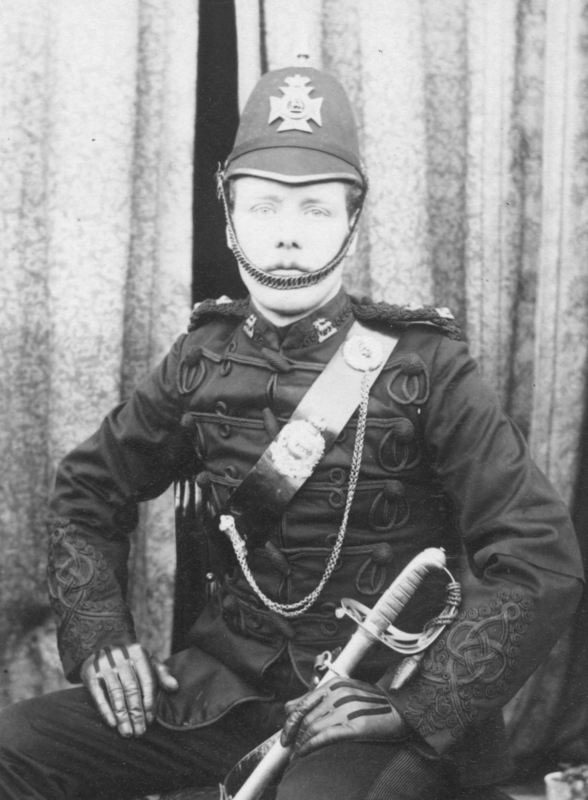 Officer, 4th Vol. 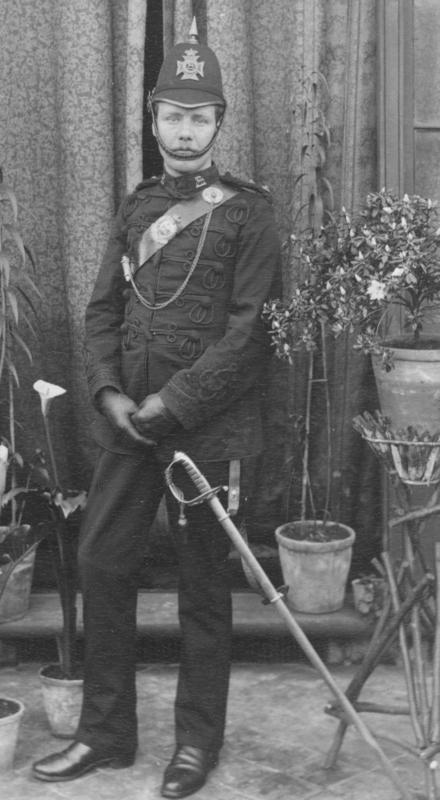 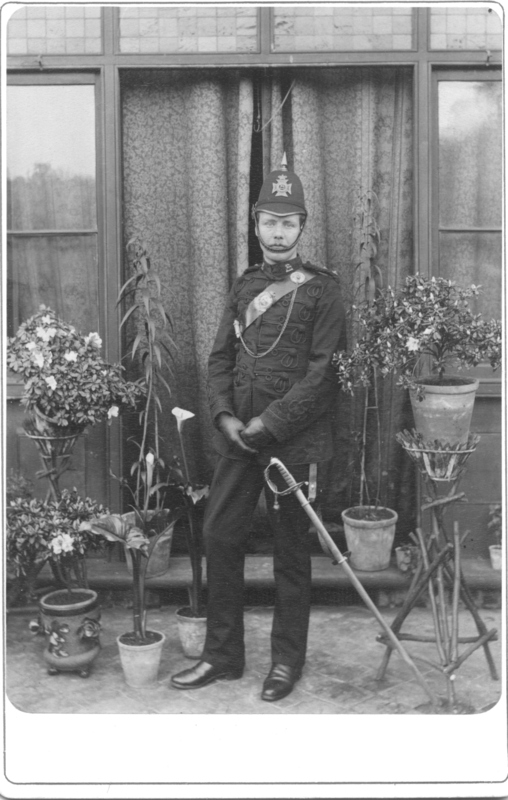 Bn., The Queen's (Royal West Surrey) Regiment, c. 1900. 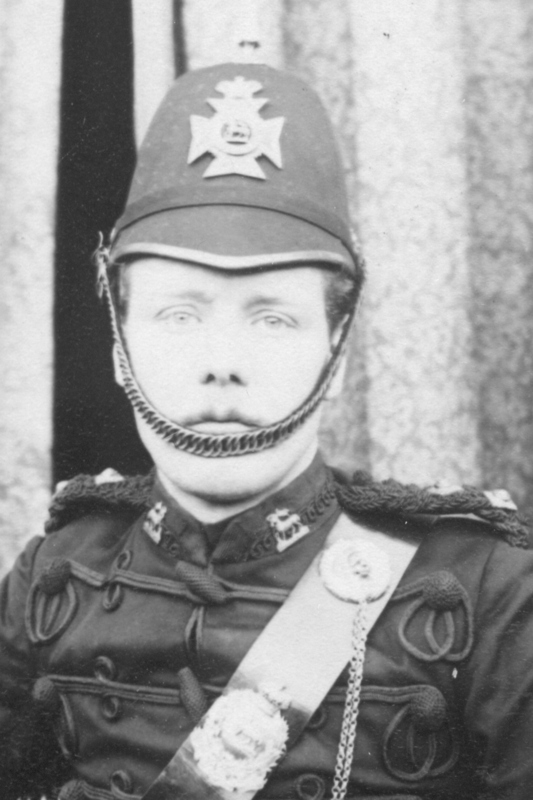 These are two photographs of the same officer, without any markings on the cards. 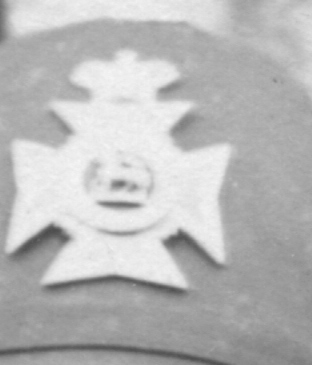 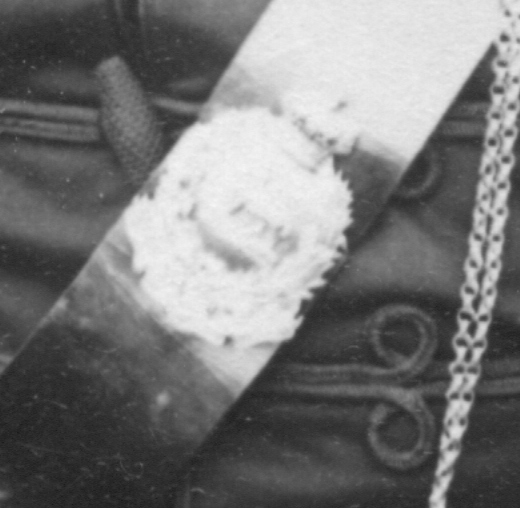 However, the helmet badge is clear enough to identify this officer as belonging to the 4th Volunteer Battalion of The Queen's (Royal West Surrey) Regiment. 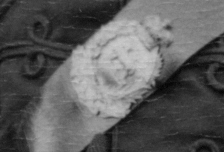 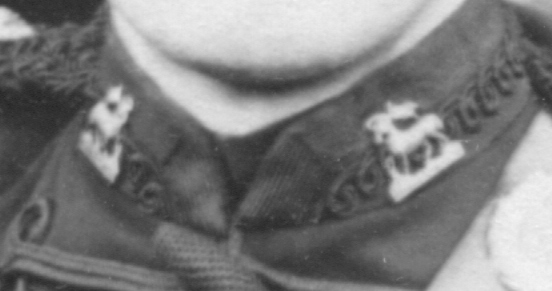 The paschal lamb in the center of the badge was the insignia of the West Surrey Regiment. 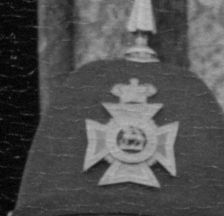 Although the regiment's regular battalions wore the usual red coat of the infantry, this battalion shows its origins as one of the old volunteer rifle corps and wears the dark green of the rifles. 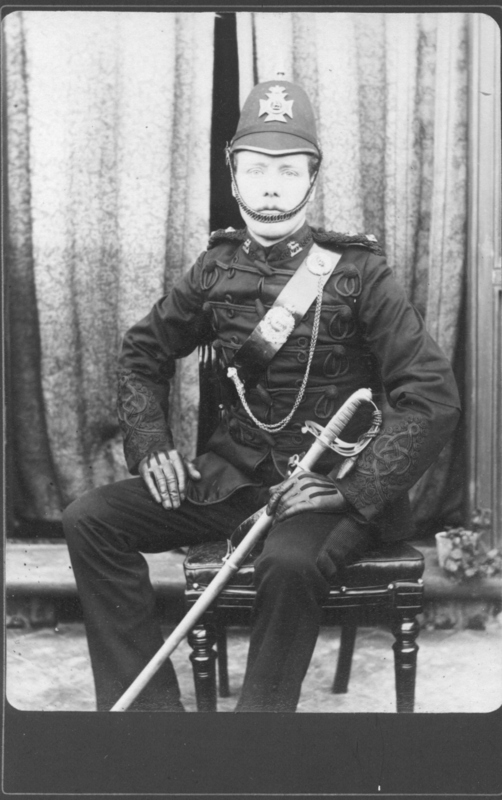 After 1908, the battalion was removed from the West Surreys and became the 24th Battalion of the London Regiment, an all-Territorial Army formation.